In my APUSH class, we had a small research project regarding the American Revolution. In preparation for the major and main research project that will happen during the spring term, our class members each wrote on the various topics given by our teacher, Mr. LaForest. Scanning through the list of topics, the Hessian Mercenaries intrigued me the most as an original topic to write about. As I encountered the topic for the first time while researching, I realized how important and beneficial the library and the librarians were. Mr. Styles provided me with physical copies of books about the Hessian Mercenaries, and Mrs. MacGillivray introduced me to the world of specific online sources. With the help of the librarians and the vast library databases, I could relatively easily acquire the information that I sought to look for. Hessian Mercenaries are in fact, a very rare topic, and not a lot of specific background information is described. However, through such valuable help and browsing, learning about the German mercenaries not only provided me a comfortable path to write the paper but also increased my interest in the topic as well. Trying to connect all the scattered information was a truly valuable experience, and I look forward to the actual research paper coming up after the AP exams. 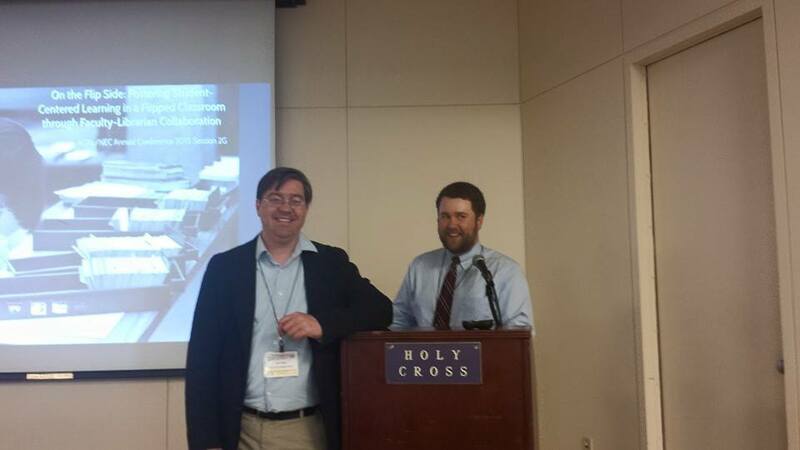 On Friday, May 8th, Eric Styles, Sarah Zimmermann, and Eric LaForest presented at the Association of College and Research Libraries (ACRL) New England Annual Conference at The College of the Holy Cross in Worcester, MA. Entitled On the Flip Side: Fostering Student-Centered Learning in a Flipped Classroom through Faculty-Librarian Collaboration, the presentation covered the four flipped classroom modules developed by Eric Styles, Sarah Zimmermann, Megan Blunden and Eric LaForest for the U.S History Research Project. By leveraging online modules that contain project-specific video tutorials and assignments, the new curriculum improves students’ understanding of the research process and promotes collaborative, problem-based learning in the classroom. 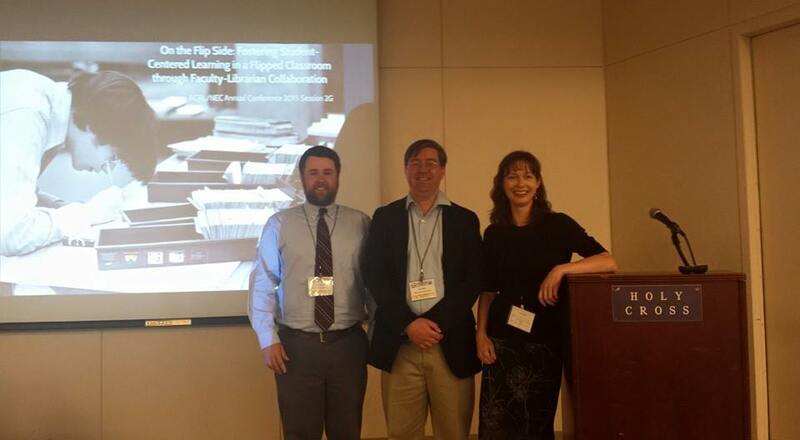 Eric Styles, Sarah Zimmermann, and Megan Blunden gave this presentation at the Connecticut Library Association Annual Conference on April 28th in Groton, CT.